(Ahem; sorry just couldn’t resist). Leftover mash is as soft and beige as leftover porridge. And we all know what leftover porridge is for: porridge muffins, and porridge bread. So how about mashed potato bread? Remember that every bread is just carbs that are fermented with yeast (from a can or your jar of sourdough starter). I gave up on homemade sourdough long ago; it’s lovely but I’m not that great a bread baker plus I’m the only fan. There’s only so much sourdough that even I can eat. So, mash bread; prepare yourself for soft, smooth buns (sorry not sorry). 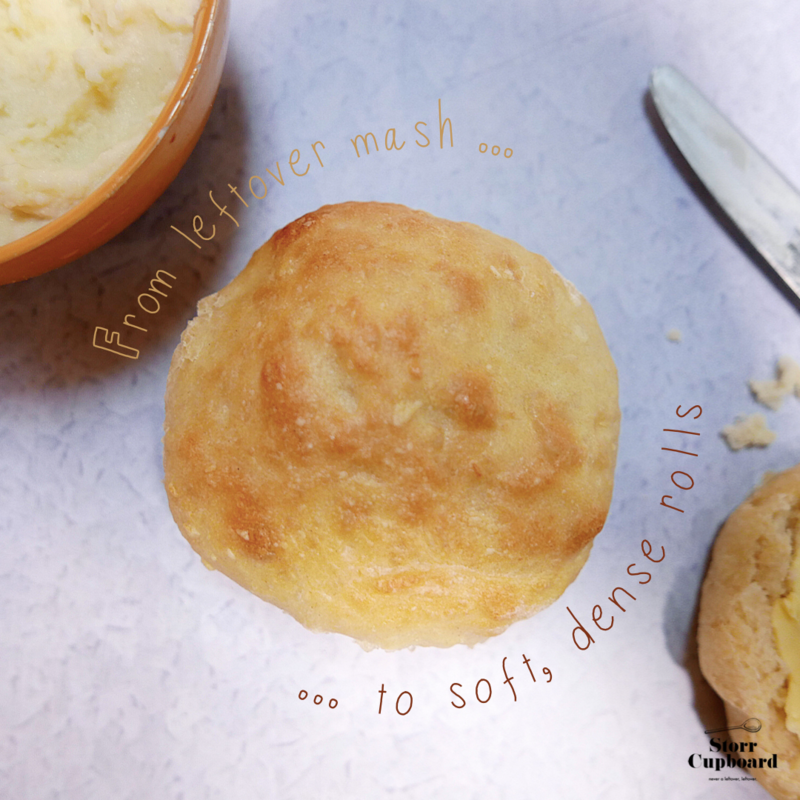 I thought about soft milk buns or brioche when I made these, as the mash was already rich with butter and whole milk. I cracked in an egg and added 25 grams of sugar, just because I wanted to. That’s where relay race cooking is the best – you see what’s in front of you (mash! ), and *that* is your inspiration for the next meal – not some end of aisle teaser. Omit the egg and/or sugar if you like. Your leftover mashed potato buns will be perfect when still warm from the oven and full of melted butter and a wedge of strong cheddar. I practised making fried chicken for my kids the other day, ahead of a gaggle of girls coming round for dinner of fried chicken and chips followed by ice-cream sundaes. Sadly for me, there was warm, crunchy fried chicken to eat up … shredded fried chicken inside one of these was … it was unholy. Shape the dough into a round and return to the bowl; as it rises every few hours, gently punch down and re-shape; do this over 6 hours. No kneading required! Thank you for fighting food waste with Storr Cupboard!